Blades made from selected carbon steel, heat treated with plastic grip. In order to meet the diversified needs of clients, we are instrumental in providing Hedge Shear. 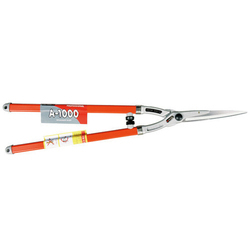 With rich industry experience and knowledge, we are providing an excellent quality range of Hedge Shear. Hedge Shear - Wooden Handle 10"
- High carbon steel cutting blade - 7" & 9"
Hedge shear is most commonly known as hedge trimmer. 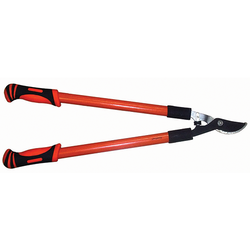 The main use of this gardening tool is trimming of hedges or bushes. There are different designs of hedge shears available. Also both handheld and machine operated hedge shears exist. hardened and tempered blades with oxidized finish comfortable wooden handle grip.